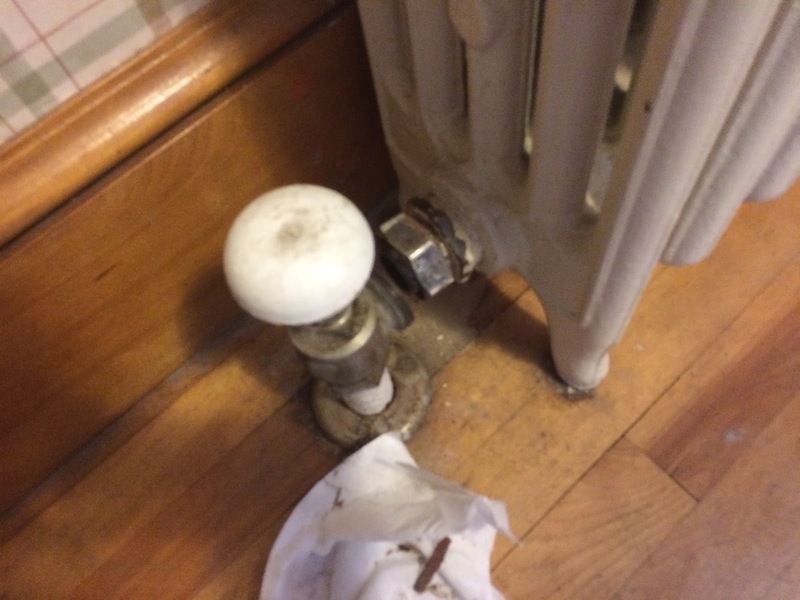 Radiators! We have a lot of ’em. Our house is heated by steam, a slightly tricky but ultimately rewarding heating system. It is more efficient than many other older heating systems, and it offers a comforting, humid warmth rather than the dry, on & off of forced air. It also makes those wonderful popping sounds when it’s starting up. 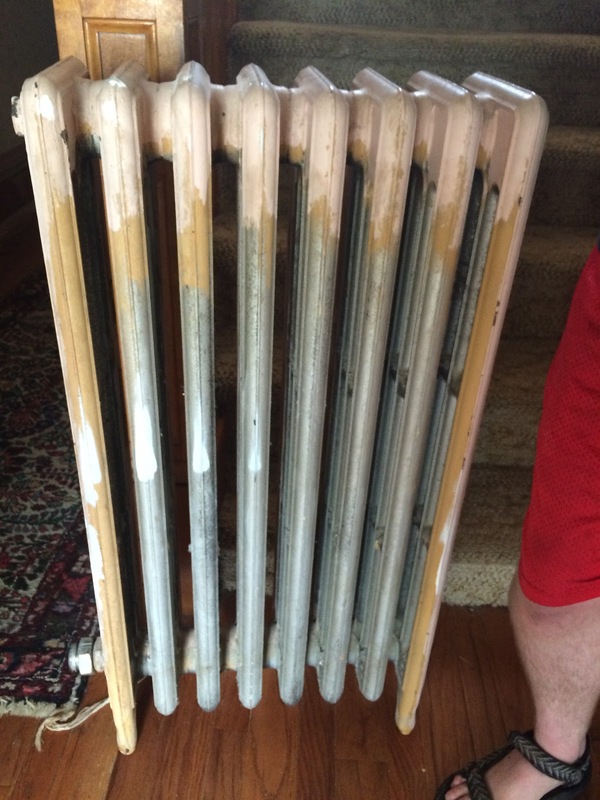 However: all of the radiators in the house (there are eight in total) were painted to match their rooms. That paint is either a) ugly or b) peeling badly. In some cases, both! I agonized for quite a while over what to do and how to do it. I talked to a ton of people, called places for quotes, researched online, and fretted. 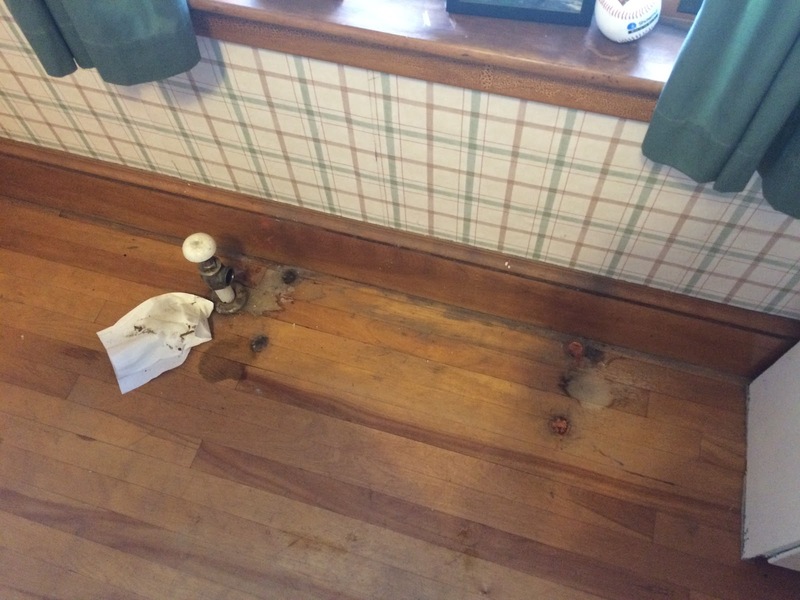 I thought about just getting radiator covers made – maybe something custom, to match the woodwork in the rooms. 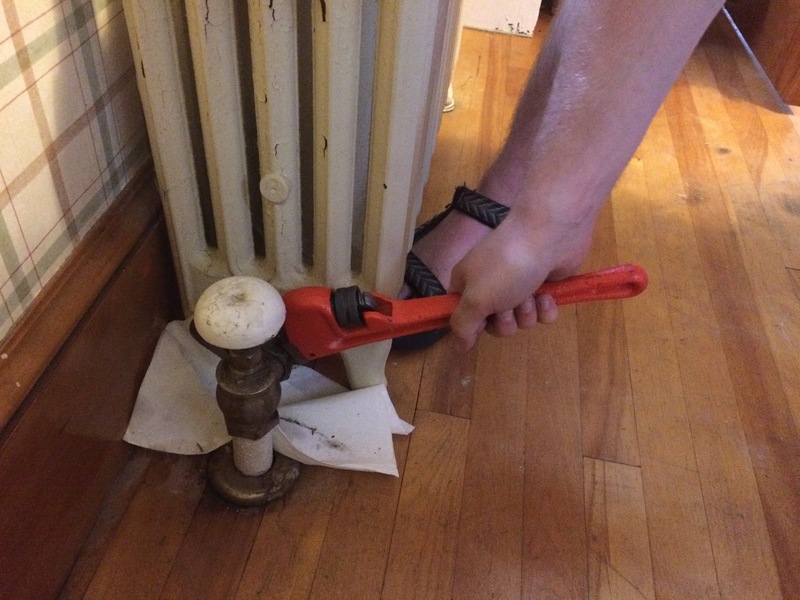 I thought about doing it myself, in place. Eventually, our electrician recommended a place that was just half an hour around the corner from us. 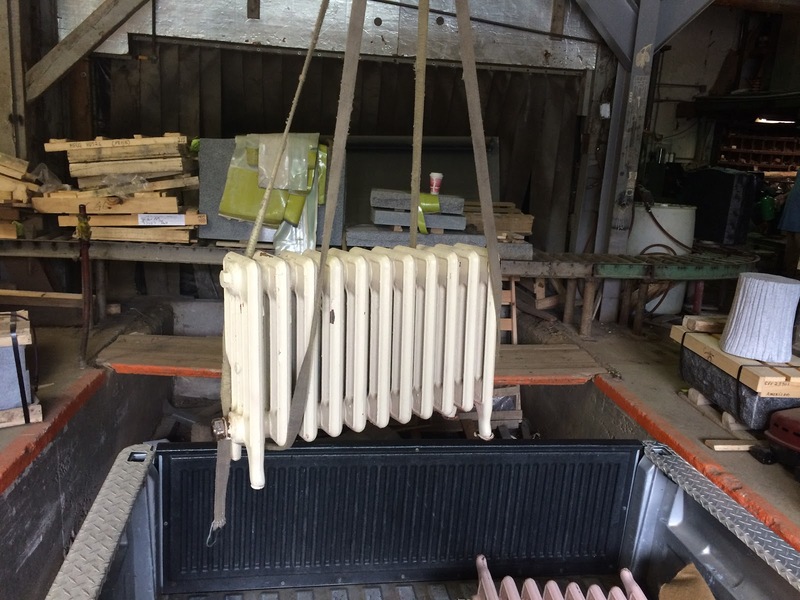 She said they sandblasted her radiators right down to the cast iron for a very reasonable price. So that was the plan. 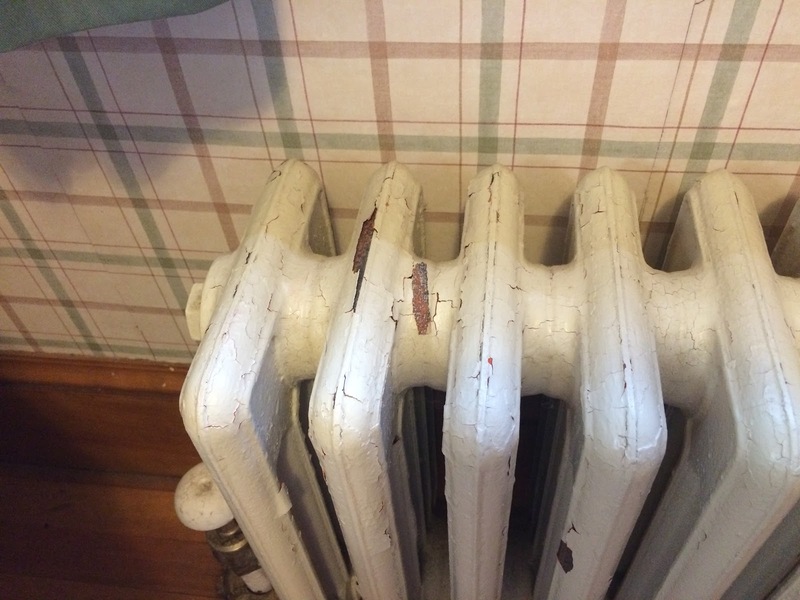 Our radiators are older, but they have no fancy Victorian filigree on them that might be damaged by sandblasting. While my ideal would have been to have them powdercoated, I couldn’t find anyone who would do that locally, and I wasn’t convinced it would be as cost-effective for its supposed superiority. 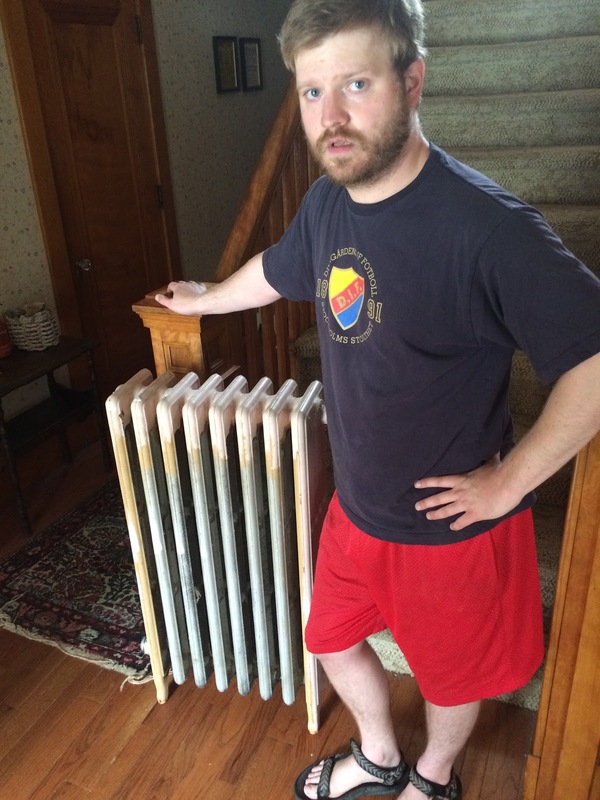 Step 1: Get the radiators out of the house. THIS REALLY SUCKED. REALLY REALLY SUCKED. 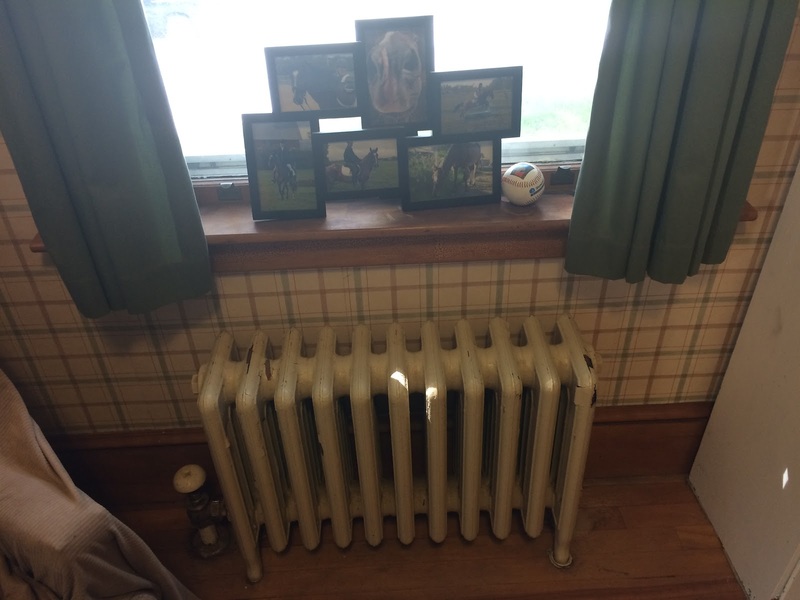 The radiator in the photos above was small, and on the first floor (my office). It still required 20 minutes of moving it 5′ at a time with precise communication so we could both lift at the same time. 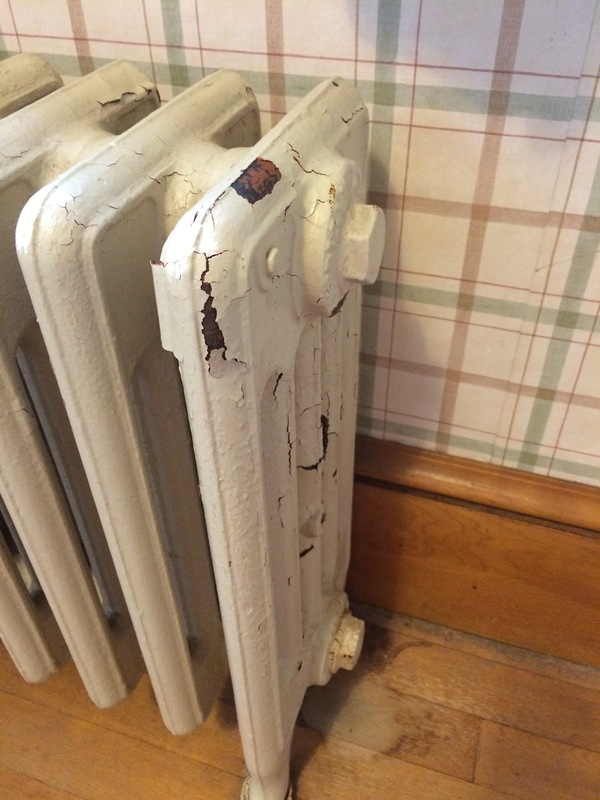 This radiator was in our master bedroom. It weighs several hundred pounds. It took 45 minutes to get it downstairs and out the front door. We did it step by step, and Matt’s face basically says how thrilled he was with the process. Remember what I said about ugly paint? This is the side that was facing the wall. Ack. We put them on the front lawn, which slopes quite a lot, and I was able to finagle my truck so as to back it up directly to them. Then we just moved them forward a few feet into the back of the truck. Then I drove them half a mile to the sandblasting place. They had a magnificent hydraulic lift that ran the length and width of their entire shop – a necessity, as 99% of what they sandblast is giant granite slabs. Seriously, we need one of those at our house. The guy who took charge of them for us was amazed at both the really ugly paint and how much of it there was. He shook his head in awe, and told us that they would be dramatically more efficient once he sandblasted them. Huzzah! So now we await part 2: re-painting. perhaps you should add chiropractic and massage therapy for you and matt to your wedding registry :). uh that sounds intense haha – hopefully it'll all be worth it!